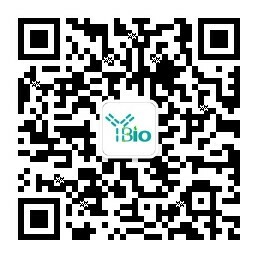 别 名 Interleukin-10 precursor; Cytokine synthesis inhibitory factor; CSIF; Cytokine Synthesis Inhibitory Factor; IL 10; IL10A; Interleukin 10; Interleukin10; MGC126450; MGC126451; TGIF; IL10_HUMAN. IL-10 protein is a cytokine produced primarily by monocytes and to a lesser extent by lymphocytes. This cytokine has pleiotropic effects in immunoregulation and inflammation. It down-regulates the expression of Th1 cytokines, MHC class II Ags, and costimulatory molecules on macrophages. It also enhances B cell survival, proliferation, and antibody production. This cytokine can block NF-kappa B activity, and is involved in the regulation of the JAK-STAT signaling pathway. Knockout studies in mice suggested the function of this cytokine as an essential immunoregulator in the intestinal tract. Inhibits the synthesis of a number of cytokines, including IFN-gamma, IL-2, IL-3, TNF and GM-CSF produced by activated macrophages and by helper T-cells. Produced by a variety of cell lines, including T-cells, macrophages, mast cells and other cell types. Belongs to the IL-10 family.